Nganampa Health Council operates a Tackling Indigenous Smoking (TIS) program through funding from the Commonwealth Department of Health. 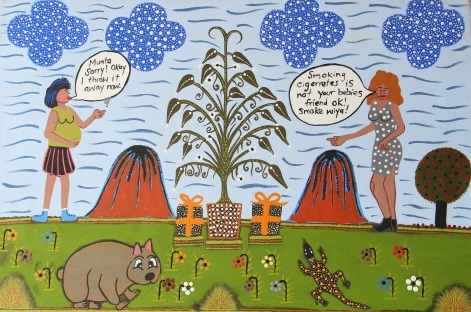 Our TIS program uses the motto “Tjikita – Nyuntu Ngayuku Malpa Wiya” which translates as “Cigarettes – You are not my friend.” This motto came about when a Nganampa Health Council staff member asked an elderly and long-time Anangu smoker how they gave up smoking. He told a story about how he used to roll up cigarettes, hold them in front of his face and say “Nyuntu Ngayuku Malpa Wiya” while throwing the cigarette away. This story inspired a song which features on the UPK5 album produced by Nganampa Health Council. The album can be accessed from www.upk5.com, with the “Tjikita” song being song 6. The "Tjikita" video can be accessed here. 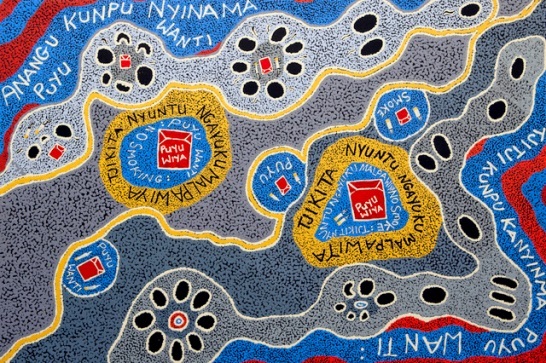 Signage with this motto has been distributed throughout the APY Lands. A sign can be downloaded from here if you would like your own sign to display. We are employing Anangu workers to conduct activities to encourage people to quit smoking and young people not to start smoking. They will also identify Anangu wanting to stop smoking and encourage them to come to the clinic. We are specifically targetting antenatal women and we ensure all antenatal women are seen by our TIS Coordinator. We have entered into a relationship with the Aboriginal Health Council of SA, Deadly Choices and the Port Power Football Club who will be making visits to the APY Lands and conducting healthy lifestyle workshops with school children. We are working closely with the stores on the APY Lands to analyse tobacco purchases. 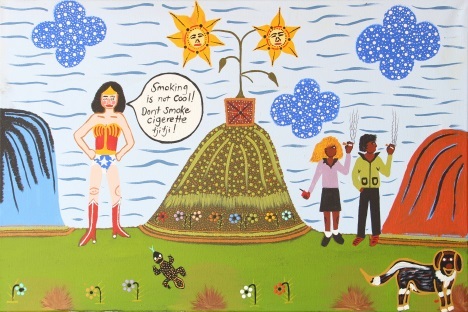 Encouragingly many Anangu have given up smoking with the assistance of Nganampa Health. 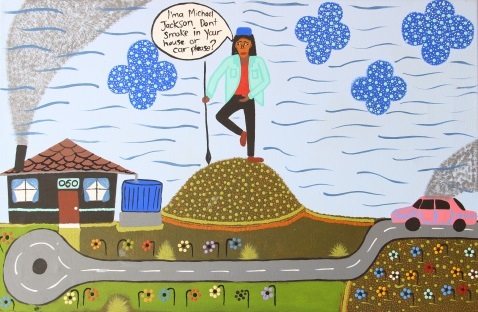 We would like to encourage any Anangu who would like to give up smoking to go to the clinic and discuss this with one of our Tackling Indigenous Smoking Workers, an Aboriginal Health Worker, a nurse or a doctor.